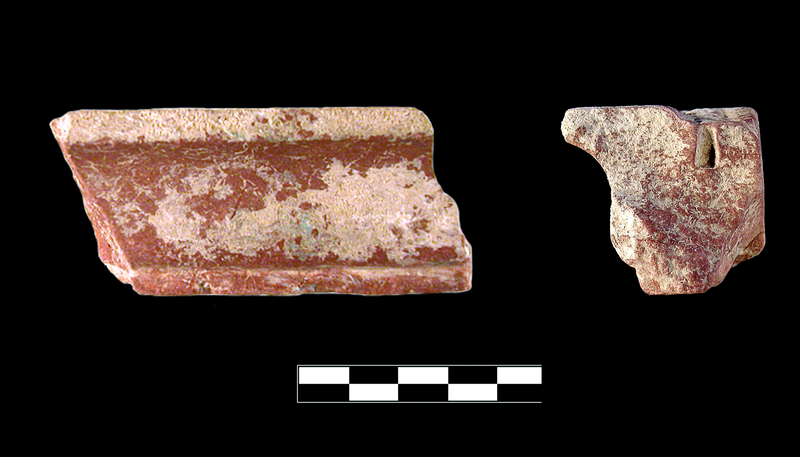 Small fragment of cyma recta molding. Probably rosso antico (from southern Cape Tainaron). Edges are cleanly cut. The small scale suggests that this was used as a crowning element in revetment. Note cutting for vertical pit. One fragment broken along bottom and both ends. Slight, shallow, somewhat extensive scoring on surface; sparse patches of encrustation.